I got a chance to meet the two leads and the author from the upcoming movie The Mortal Instruments: City Of Bones - Lily Collins, Jamie Campbell Bower and Cassandra Clare. This is the latest in young adult fantasy fiction to capture the imaginations of those who long for a world of magic, monsters and mortal danger. 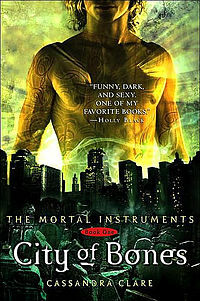 In 2007 author Cassandra Clare introduced young adult readers to the reluctant warrior, Clary Fray (Collins), in The Mortal Instruments: City of Bones, the first entry in what would become a fantasy-adventure empire. In Clare’s carefully constructed magical world, a young woman finds herself surrounded by warlocks, vampires, werewolves, demons—and the mysterious Shadowhunters, a hidden race of angel-human hybrids who secretly protect humankind from the ultimate evil. Gifted with great strength and magical abilities, the Shadowhunters have been protecting the human world against a demonic take over since the Middle Ages. The Shadow World is not an alternate universe, it's present day, only most humans or “mundanes” as people are referred to in the novels, just don’t see it or the non-human-kind all around them. Author CASSANDRA CLARE seems to be enjoying the ride, while keeping true to her work. She didn't just turn her book(s) over to producers, she's been consulted from pre-production to post-production, working closely with director Harald Zwart and screenwriter Jessica Postigo Paquette. I received a little swag after the interview, a signed copy of The Mortal Instruments: City Of Bones, which I started to use as a giveaway prize; but instead I'm gonna keep it and read the book after I see the movie. Wish there were time to do that in reverse, but this way the book and the movie will become one for me. 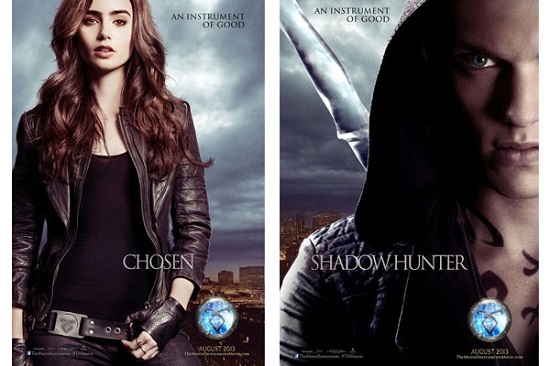 Although I never gravitated to the Twilight movies/books, I do love shows like Charmed and Buffy, so I can imagine getting hooked and reading The Mortal Instruments: City of Ashes before the film release of the sequel.